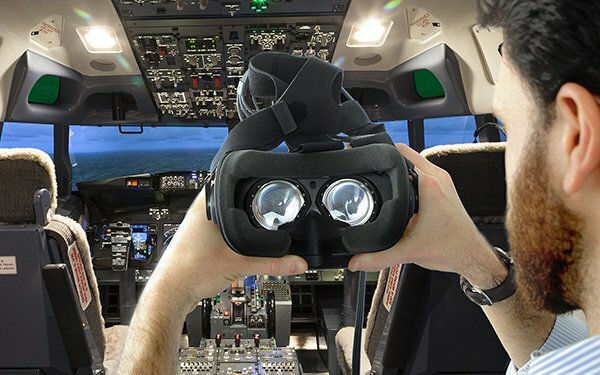 Virtual reality may soon become a platform to conduct user experience research, thanks to new eye tracking capabilities. The capabilities, which were recently launched by eye tracking company Tobii, can track a user’s eye movements as the person views and interacts with a VR experience. One of the target use cases for the eye tracking is conducting behavioral tests in virtual retail environments. Such tests could be used for pre-production products and campaign messaging, according to Tobii. At least one agency executive sees opportunity in eye tracking, both in the short and long term. Other research application areas include studying phobias and anxieties and testing skills in high-risk environments virtually, according to Tobii. Agencies already have been able to track a user’s visual focus in VR, but the accuracy has been limited to the general direction a user is looking, rather than precisely where their eyes are landing. Tobii’s eye tracking can record where users' eyes move throughout a scene and when they move to a different area and for how long. Eye tracking may not be limited to just research purposes within virtual reality. For example, eye movement can be integrated into a user’s virtual avatar within a social VR application. In a demo of the eye tracking capabilities, Tobii shows a user’s avatar winking as the user winks. Eye tracking can also be utilized to improve playback performance, using a technique called Gaze Prioritized Graphics. This technique, also known as Foveated Rendering, focuses the VR system’s computing power on improved image quality where a user is viewing, while leaving the peripheral views less clear. This has been widely reported as an area that could benefit mobile-based VR viewers, such as Samsung’s Gear VR and Google’s Daydream View, to improve the overall performance and battery life of the smartphones driving the viewers. Hill Holliday’s Callan also said he is interested in leveraging eye tracking capabilities while editing branded VR and 360-degree video experiences. “Being able to see exactly which elements the users see and are most drawn to will aid us in creating better experiences,” he said. However, pulling eye tracking data is currently limited to using expensive non-standard products, such as Tobii’s reference design headset. Using eye tracking for consumer-facing applications, such as complex gaze-driven user interfaces, may be a long-term realization, according to Callan. The system itself is a reference design comprising an enterprise edition HTC Vive headset modified with Tobii’s eye tracking cameras inside. While the reference design system is currently at the expensive side of the VR spectrum, Tobii’s plan is to work with manufacturers to integrate this capability directly into the products themselves.